In mid-2017, Melbourne Recital Centre welcomed one million visitors to the Centre to experience live music in our spaces. To celebrate this milestone, we’ve asked members of the Melbourne Recital Centre team to talk about what they love about the Centre, its artists and audiences. Jeannie Van De Velde is the Centre’s Front of House Supervisor and a much-loved member of the Melbourne Recital Centre family. Jeannie has been with the Centre for many years. What do you like about working at Melbourne Recital Centre? The people first and foremost. I love being in a workplace with other people who are passionate about music and the types of performances that we present. I also like engaging with the audience members, many of whom are regulars who I know by name, and with the artists and hirers to make sure everything runs smoothly. I also love what we do here and where we do it: incredible concerts in a magnificent building with an incredible acoustic. What has/have been your favourite event/s at the Centre since it opened in 2009? 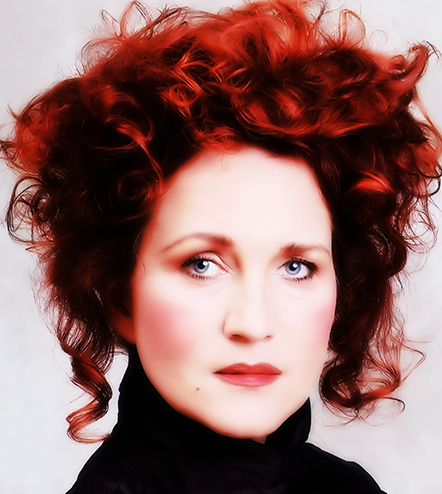 One would be the performance of the Australian Brandenburg Orchestra with soprano Simone Kermes. Having studied classical singing for many years, it was incredibly refreshing to see someone perform in a totally non-traditional way. She had a very creative way of presenting the music and seemed to be loving every minute of the performance. At the end of the concert I remember saying to my friend, a fellow VCA graduate, that I had never laughed so much at a classical concert before - her encore with the twins from the audience was hilarious. Another incredible performance was with the Tallis Scholars - they toured with a concert of their most popular works, including the sublime Allegri Misere. To hear that work, with those singers, in our incredible hall, with one choir on stage and the other in the Circle was an unforgettable experience. I would also love to mention the concert with Amadou and Mariam, the blind singers from Mali. For this performance, the entire hall was in a state of blackout, as the musicians wanted the entire audience to experience their music in the dark. The staff had night-vision goggles and audience members had a card of white paper to signal if they wanted to leave. It took a lot of work and risk assessments etc. but it felt like a wonderful achievement and a unique event to host at the centre. During the most recent Music Play, our annual children's festival, we had an open stage where very young children were invited to take to the stage in an encouraging environment. It was so lovely to see children taking the microphone and singing or playing at the Centre. There were many who were initially too shy, but after hearing many versions of "twinkle twinkle" gained enough confidence to get up and have a go. It was very heart-warming and wonderful to see children making music at the centre. 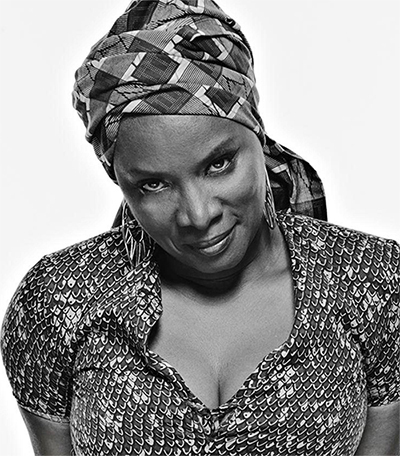 Another incredible moment was when Angelique Kidjo had the entire audience on their feet dancing - the Elisabeth Murdoch Hall was transformed with Angelique dancing through the audience, singing her inspirational and uplifting music. In 2017, we welcomed our one millionth audience member. What have you noticed about Melbourne Recital Centre audiences over the past 9 years? Since we opened the doors at the Melbourne Recital Centre the range of music and events has become more diverse which has also meant that the audience is more diverse. Originally the focus was on classical music, but now with the Centre presenting many genres of music, there is a broad range of people from the community attending concerts. I am still amazed that at many of the concerts featuring popular or world music we always have a lot of people in the hall who have never attended a concert here before. If you could put together a Melbourne Recital Centre playlist of your favourite concerts, what bands/ensembles/orchestras/pieces would be on it? In no particular order: The Goldner String Quartet, The Australian String Quartet, the Melbourne Chamber Orchestra, the Australian Brandenburg Orchestra, Les Arts Florissants, The Consort of Melbourne, Paul Lewis, Brenda Rae, Pieter Wispelwey, The Blue Grassy Knoll with Buster Keaton screening, The Stiletto Sisters, Rokia Traore, The Spaghetti Western Orchestra, Paris Combo, and Bernadette Robinson.